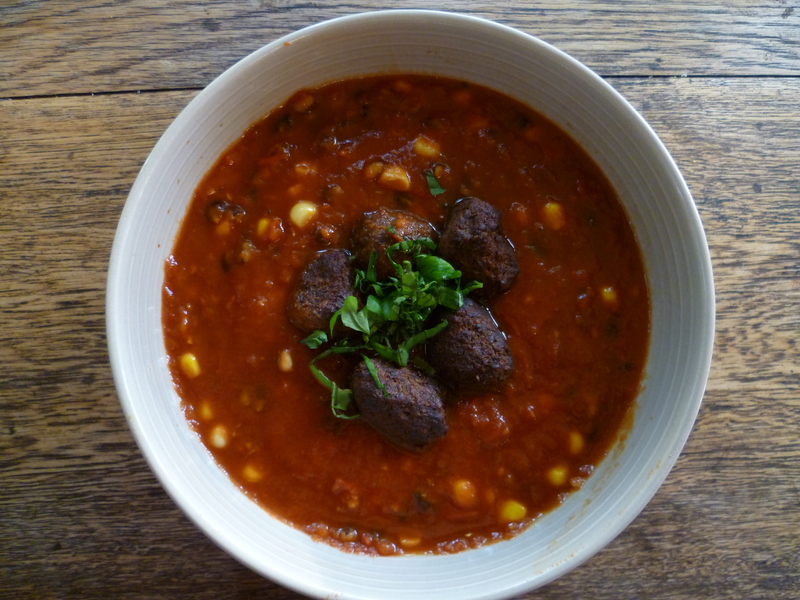 I created this hearty summer stew to help deal with the overload of tomatoes and sweet corn this time of year. It also utilises black barley which is a nutty delicious grain often grown in New Zealand, it takes longer to cook than pearl barley but if you can’t source it the latter will work just as well. If you are gluten free you can use brown rice or kidney beans as a substitute. Cover barley with 4 cups of water in a pot, bring to the boil then cover and simmer for about 45 min until tender, it will still be quite chewy. Drain and rinse. If you are using the beans, simply drain and rinse then set aside. While barley is cooking, chop the tomatoes to a chunky dice. Place a large pot over a medium heat and sauté onions in oil until soft. Add garlic, tomato paste, mixed herbs, and chilli, fry for 30 seconds until fragrant. Stir in diced tomatoes and any juices. 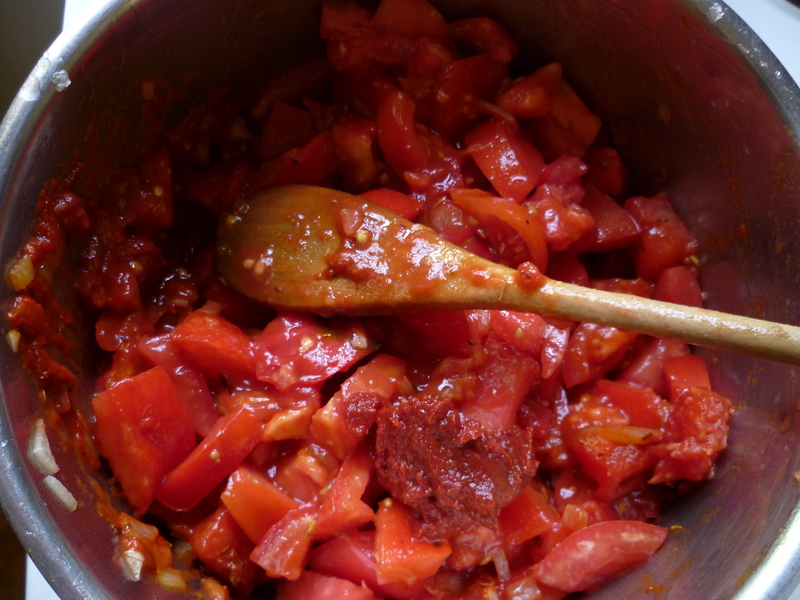 A lot of liquid should be released from the tomatoes as you bring them to a simmer over gentle heat. Add in molasses, honey, salt and vinegar (add a little water if dry). Simmer for about 20 minutes until tomatoes are soft and falling apart and mixture has thickened slightly. Stir in corn, barley and pepper and simmer for a further 5 minutes. Taste and add salt and pepper if needed. If you are topping the stew with falafel or meat balls, cook according to packet then serve stew topped with these, finely diced basil and your favourite bread. Want to combine Nourishfull food with overseas adventures? Join me this winter in Africa where I will be leading cycle trips and cooking delicious healthy food with wonderful Golden Bay company Escape Adventures, check it out at www.escapeadventures.co.nz.